Listed below are Kitchen & cooking items for you to car boot sale online here that you will find available in London. If you cannot find the Kitchen & cooking items that you are looking for in London you can add your wanted item to let sellers contact you if they have any Kitchen & cooking items available for you. You can keep your contact information confidential. Enter only an email address in your car boot sale ad to receive offers into your account on our system. We will remind you automatically when new offers arrive for you. To offer your items for sale on this online car boot sale in London simply click Post free ads for Kitchen & cooking link below or the button Post free ad in top right corner of this page. It is fast, easy and free to post an ad in 2lazy2boot. It will take you just few minutes to have the ad seen on our listings. You can then edit your ads any time by clicking “Member area" button on top right corner of this page. -An excellent set that will decorate your home! 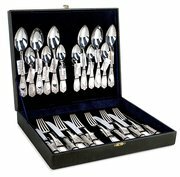 -A set of cutlery is made of pure 925 silver. -It can become a beautiful family asset. -The exceptional quality of this set will not leave indifferent lovers of beauty. -All products are made for you personally. The manufacturing time varies from 7 to 16 days, the delivery of the order is carried out for 2-4 weeks. -In this set of as many as 24 silver devices, the approximate total weight of 1260 grams. -An excellent set that will decorate your home! 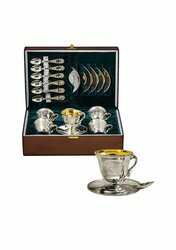 -A set of cutlery is made of pure 925 silver. -All products are made for you personally. The manufacturing time varies from 7 to 16 days, the delivery of the order is carried out for 2-4 weeks. 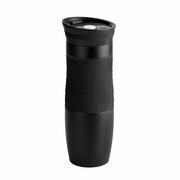 The Stainless Steel 500 ml Pinadora Travel Mug features a double-walled, vacuum- insulated design that keeps hot coffee hot and iced coffee cold Car Cup Feature: The Coffee Mug Body Specially Designed Fits Most Car Cup Holders. AbSweat Free: The Coffee Mug Exterior Will Never Sweat And Getting Water Out on Your Desk, Rings on Your Table, or a Mess in Your Bag! 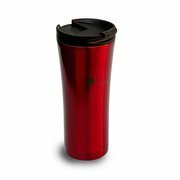 The Vacuum Insulated Coffee Mug Won't Even Be Hot or Cold to the Touch no Matter the Temperature of the Liquid. Thermal travel mug is made of high-quality stainless steel inside and out It has blocked nozzle and tank with vacuum insulation Good supplies: for traveling Keeps HOT and COLD Perfectly safe: The BPA free sprout and food-grade stainless steel used on your travel mug means it won't leak chemicals, so it's 100% safe for human consumption. At Popat Stores offers stainless steel spice boxes and masala dabba is vital to anyone serious about cooking authentic Indian food, no Indian cook would be without one. It is made from Stainless Steel polished to a mirror finish and comes with a shallow cover to protect the spices and to keep whole spices onto and finally a lid to close. At Popat Stores offers flat bread roti and tortilla maker is a great and reliable product that allows making a multiude of items such as tortillas, flat breads such as roti's, fajitas, wraps and quesadilla's. Added features include auto on and off ready light and Built in cord wrap. The roti makers have an adjustable temperature control button which enables you to select a wide range of temperatures. At Popat Stores offers Duralex Picardie glasses and tumbler design has remained virtually unchanged since its introduction in 1939. Made from toughened glass; each tumbler is impact resistant, suitable for cold drinks and hot beverages, microwave and dishwasher safe, as well as stackable for easy storage solutions. At Popat Stores offers lock & lock's spice box container makes cooking delicious food a snap! Our airtight container keeps your spices fresh and safe from spilling and dividers allow you to store all your essential seasoning and spices in one container, minimizing clutter in your pantries. Keeps spices fresh, Includes 7 removable individual compartments, extra upper tray and scoop spoon, individual tray inside is easy to wash.
At Popat Stores offers Corelle circle bread & butter plate - 17cm. Carmel, Chocolate and Gray color palette raises the bar for new contemporary looks. The geometric shapes combined with the tint ware harmonize a bold modern tune. We know that everyone is different, every family cook in a different way and every kitchen needs great dinnerware, bake ware and cookware no matter what. At Popat Stores offers CorningWare glass lid for 2.25L dimensions round casserole - 21.5cm dia. Corningware classic cookware and casserole is also the ideal for casserole dish because it retains heat much longer. This means that you can use a much lower heat setting on the stovetop and cooking will continue even after the gas has been turned off. At Popat Stores offers duralex picardie glass and tumbler is functional yet stylish and feels extremely comfortable in the hand. The tempered glasses are equally suitable for cold or hot drinks, conveniently stackable, microwave, freezer and dishwasher-safe, impact and chip resistant. Duralex glasses and tumblers are ideal for modern living, instantly adaptable to any situation; the tempering process is what makes Duralex so tough. Popat Stores offers FC301 revel food chopper it has a compact and stylish design which makes it look good on the kitchen platform. It has a powerful 260watt motor. It has two variable speeds for different material chopping. It has a large 200g capacity bowl. It comes with platic milkshake balde attachments. Cookware is an essential inclusion of your kitchen which must be purchased with utmost care. Baking is a prolonged procedure which requires special utensils so that the food items to be baked undergo appropriate procedure. Most of the times, we think that our cuisine or dessert is not baked properly as we failed to follow the right recipe. Popat Stores offers Luminarc cereal bowl offers everyone enjoyment in both cooking and dining through a healthy and versatile cooking platform. Toughest tableware materials on the market with 3 to 5 times more resistant than porcelain in both the centre and the circumference. Reinforced with a high concentration of alumina to give its incredible strength. 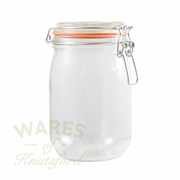 At Popat Stores offers classic Le Parfait Jars UK, made from clear glass and come with a orange screw top lid. Ideal for traditionally preserving, soft fruits, vegetables and for general dry storage of pasta, dried fruits, rice and beans. Le Parfait is also makes storage jars with screw on, orange lids. Our Popat Stores offers Fissler Pressure Cookers is perfect technology designed for easy to use for any family. The advantages of using pressure cookers are that you can cook with less water than conventially boiling and this in turn results in cooking time and energy efficiency. This allows you to retain more of the vitamins and minerals in the food cooked and kill bacteria and viruses with the great temperature build up within the cooker. Product Code: CCM101CH Product Barcode: 6300100000123 Popat Stores offers Chrome Revel Wet N Dry Grinder is a versatile product that allows you to grind wet herbs, spices, fruits and vegetables and with the same bowl; coffee beans, nuts and peppercorns. It has a powerful 280Watt motor that enables you to grind to a paste and puree or to a powder respectively. Product Code: R640 Product Barcode: 6300100002465 Popat Stores offers Roti and Tortilla Maker are a great addition to your kitchen if you are a working couple or cannot make rotis. It has a non-stick surface, which prevents the dough from sticking to the surface of the roti maker. The electric roti maker has an indicator to show that the roti maker is connected to power. Well here you go. Good luck with your on line car boot sale in London. We hope you have some success and find buyers/sellers that you are looking for in Kitchen & cooking . Don’ t forget to comment any successes in selling your Kitchen & cooking items in London to our valuation window and report forum! 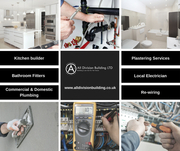 We are sure you will find many people in London looking for your Kitchen & cooking. London car boot sale. Kitchen & cooking for sale ads on online car boot sale in London, second hand Kitchen & cooking for sale in London, Kitchen & cooking ads for free in London, 2lazy2boot - London car boot fairs.